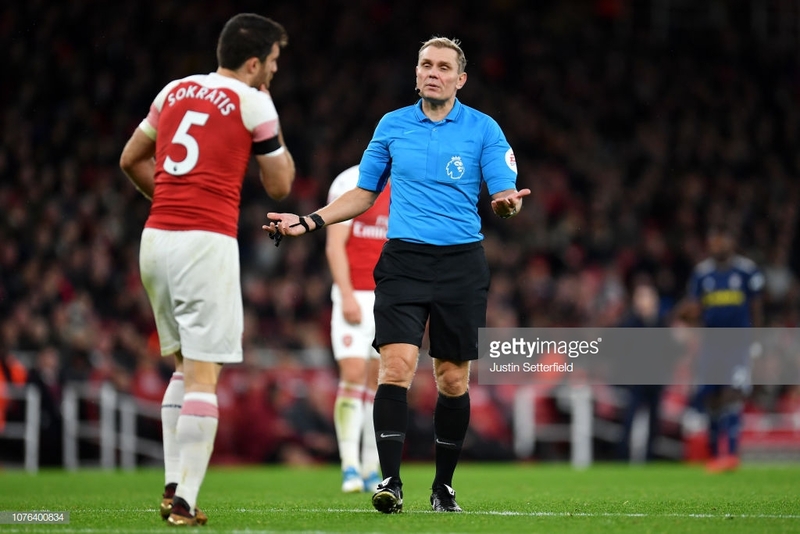 Arsenal 4 Fulham 1- Player Ratings – Convincing or Flattering? 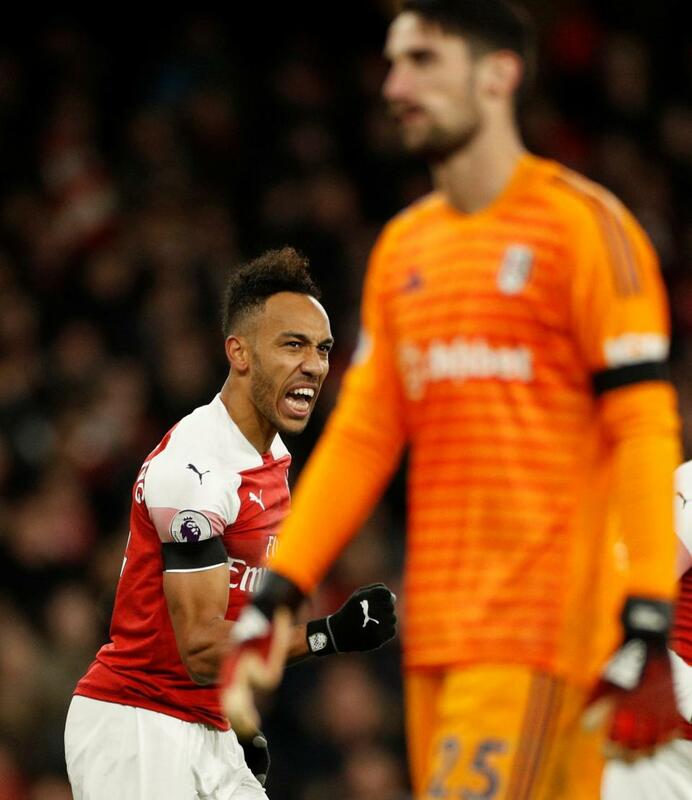 After that disgrace at Anfield against the country’s best team, a decent result was essential heading into a New Year against a Fulham side also struggling for confidence. Both sides showed some nerves early on and it was a bit scrappy. Thankfully Sessegnon left his shooting boots at home. Suddenly Granit decided to risk a nosebleed by moving into the rarefied heights of the penalty area. Wobbly’s pass was cleverly left by Laca and the big Swiss had a fairly simple toe poke finish. Arsenal’s play picked up from there and we should have added to the lead before half time. The second goal was a thing of beauty with incisive work filleting Fulham’s left flank. Auba’s clever pass to the Wardrobe put him in the ideal position to lay one on a plate for Laca. After a couple of chances to extend our lead the Tinkerman brought on two forwards with a gambler’s throw of the dice. A sloppy pass out to the Terrier and a barge in the back won Fulham the ball and the inevitable, ‘brown trousers watching The Arsenal’ period of the game came as the lead was halved by a sub. 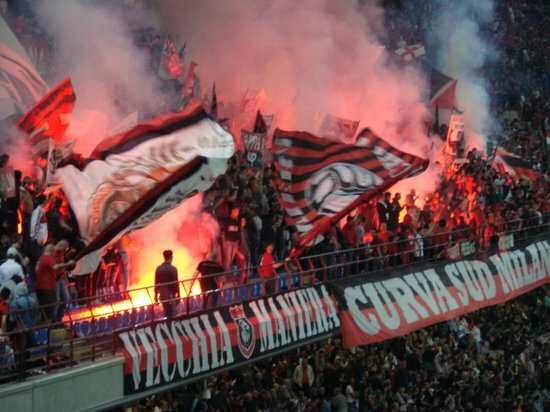 Fulham scented a wounded animal, so the next goal would be crucial. 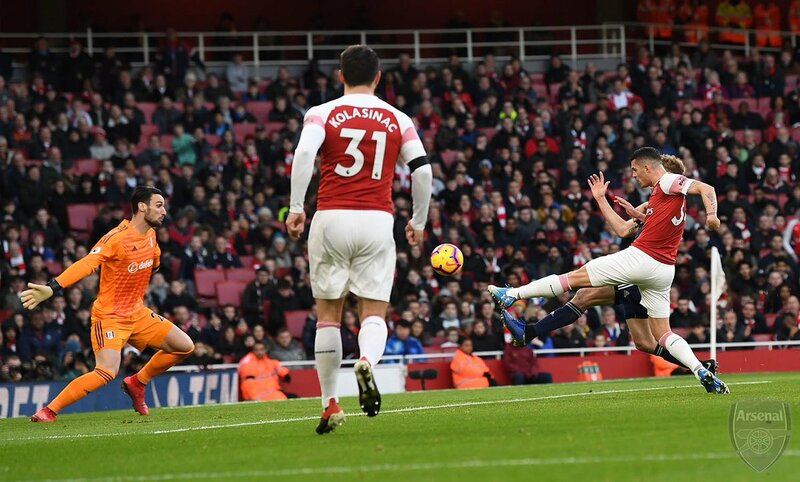 Thankfully Rambo came on as sub and almost immediately followed up an Auba pinger against the post and we could breathe easy once again. 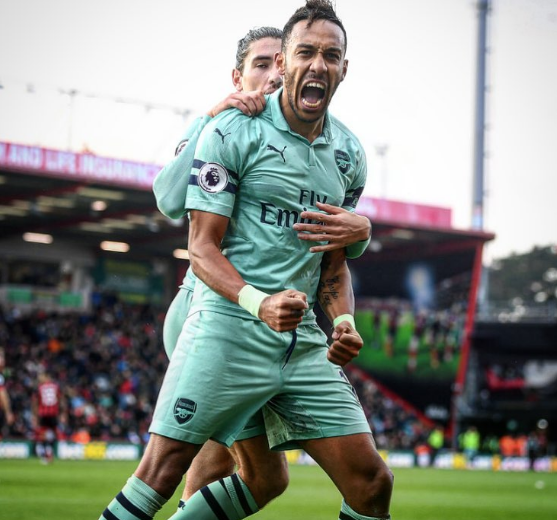 Auba then missed a little dink finish over the keeper before finally getting his goal via a deflection and a Papa assist. 4-1 and game over for a Fulham team which probably expected no less. A fine result considering the less than perfect performance, though why we can’t see out winning positions without giving everyone kittens will, seemingly, forever be a weakness. At the start of the day Chas asked for a “game to be proud of”. I will include the word proud for as long as is possible, but I’m afraid readers may see it disappearing into the ether quite quickly in my assessment of the game. Be proud AAers of the result and three points, of some evidence of determination to rectify the travesty of a performance that was Anfield. 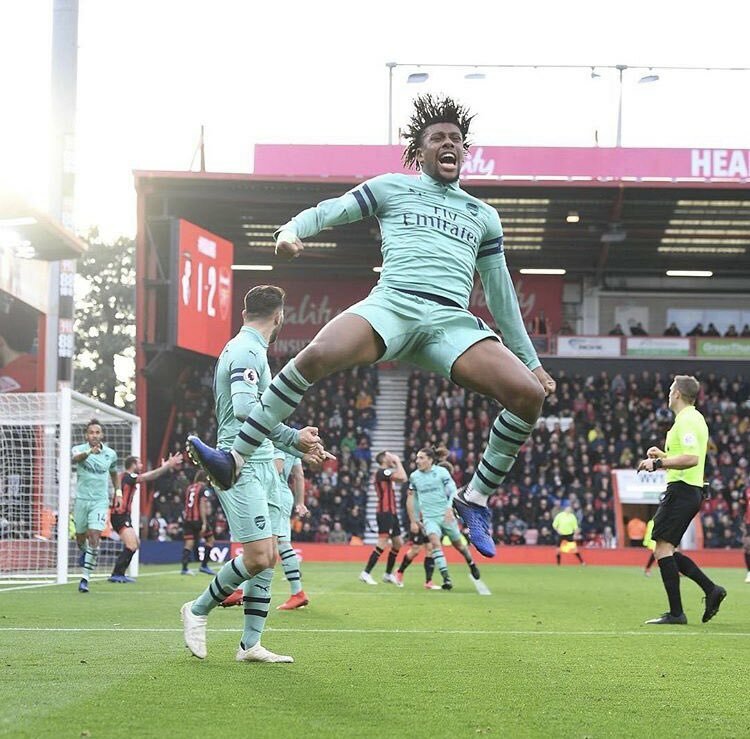 Be pleased with another goal from Aubang ( even thought he should have had an easy hat-trick) and Laca being given enough time on the pitch to score his goal before being (ridiculously) substituted. (Be pleased that he thought about kicking up a right fuss on seeing his number, but refrained when he heard the whole ground boo the decision, and instead went off graciously). Be pleased with the short period of time AM-N was able to influence the game further forward before being dragged back in the rearranged defence. Be pleased that Kos is back, even if puzzled by the couple of pub defenders playing alongside him, which makes him more nervous than usual. Be pleased Ramsey mishit a shot and scored. Sorry, that’s the best I can do on the “proud”ish front. I have an opinion, on why much is not right currently and will share when others have disagreed with everything I’ve said! And the winger Did he touch the ball? 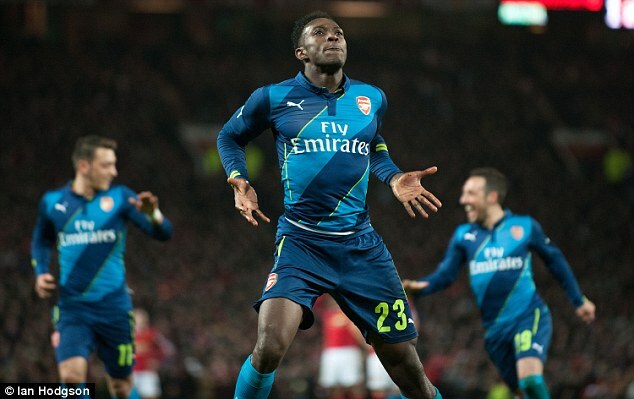 Mesut Leaving? – you’re having a Turkish! Ozil to leave the home of football? What a load of hysterical nonsense, the man gets left out for two games and he is on his way to Inter, why Inter I don’t know but as the saying goes: never let a lie get in the way of a good story. Why, oh why, would we let the most gifted player we have at the club leave, it make no sense and it is not going to happen. Here is another way of looking at things and why they happened but first I want to show that there is a bit of substance to what I have to say. Look below and see that I predicted Emery’s team selection on Sunday. I am sort of expecting Emery to do something very unusual and play the same team that started last week. This post is not about me singing my praises for finally predicting the correct team but why Ozil was left out. The reason is simple, as simple as it was logical why Emery had to play the team he did. The Basque’s hands were tied by the inability of Kolasinac to defend. Come on we all saw what a mess we got ourselves in against Wolves with the Wardrobe as left back – a scary nightmare that we almost lost. Further many of us saw how Spuds destroyed Chelsea, funny to think about that now, but they were impressive and would have murdered Kolasinac if left to defend that flank on his own. All agree up to now? Good, so Emery had to go with a back three and two wing-backs; correct call because Bellerin and Kolasinac were impressive going forward. With that extra berth being taken, as was the case with Bournemouth, there simply isn’t space in the team for Ozil. Does that mean that we no longer need Mesut? Hell no, it means we need a better left wing back so we can revert to playing with four at the back which makes space for Ozil. Is Ozil unhappy, of course not, there is no shadow of doubt that the ludicrously busy Christmas schedule has been explained to him and the need to keep as many players fit as possible and while that was happening it would have been explained that he had a back problem and should rest and spend time with his family ready for when needed which certainly will coincide with the return of Monreal, if not before, and with that people like me will have the chance, once again, to witness a genius at work. 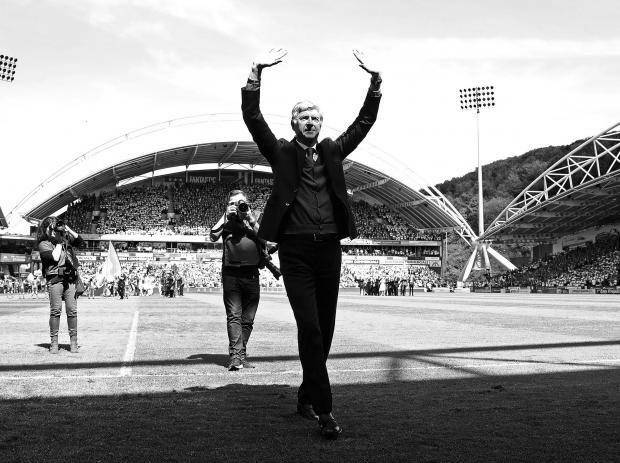 So after over 1200 games in charge, we finally reached the point where M. Arsene Wenger would be Arsenal FC boss for the last time. A goalfest in the sun would be perfect but some sneaky first away points of the year, acceptable. Huddersfield pressed like terriers in the first twenty minutes without really creating a chance, except from dead balls. One particular goalmouth scramble saw David Ospina make his first close range block. 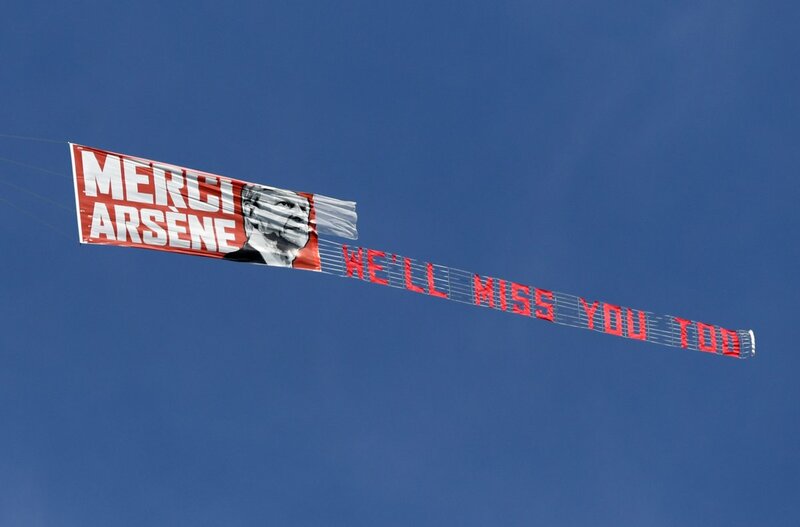 Two planes flew banners over the beautiful arches of the Huddersfield stadium and the 22nd minute of appreciative applause was well observed. 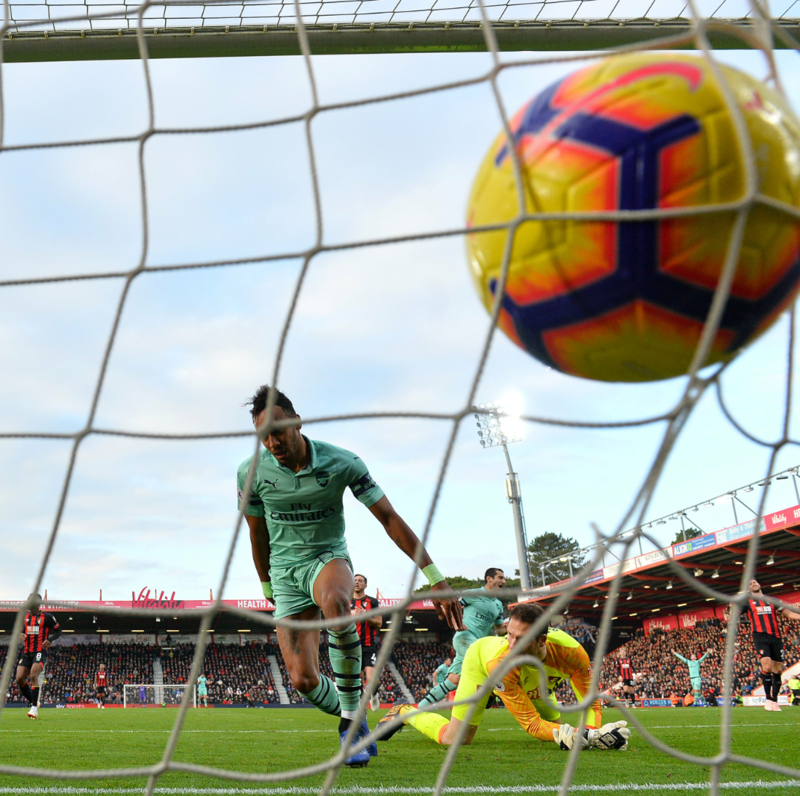 The Beast wasn’t sharp enough to poke home a near post flick-on from a corner before the first quality piece of football in the match produced Aubameyang’s mini record-breaking goal. Laca and Mkhi exchanged passes before setting Rambo free on the left. His outside of the boot driven cross was superbly anticipated by Auba sliding in on his derriere at the far post. The second half saw even more huffing and puffing from Huddersfield but little quality. Twice as many ‘attempts’ on goal than us but with one fewer on target tells its own story. Two glorious one on ones for the boys in charcoal grey and pink were both squandered by Laca and Welbz respectively. Laca chose to lob a keeper who carried on standing up and Danny really needed to stop and change the angle rather than continue on his weaker left. 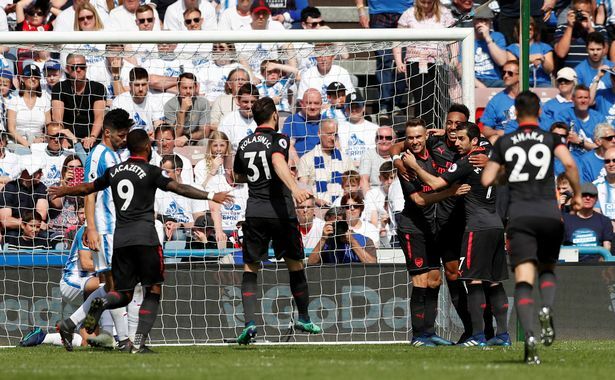 Huddersfield had two last attempts at spoiling the Wenger party, one shot flicking off the top of the crossbar and Ospina keeping out a last gasp header at the second attempt. 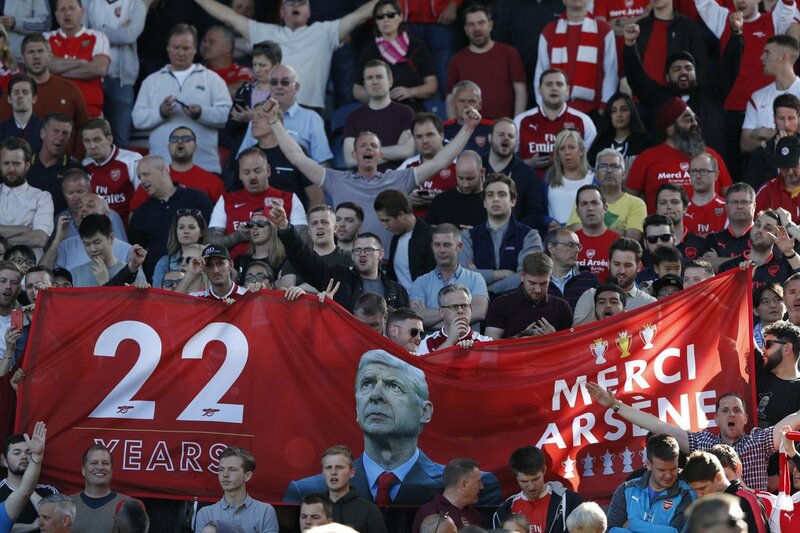 So Arsene got the send off he deserves with the team finally winning three points away from home at last. Curiously enough, the dolphins had long known of the impending demolition of Earth and had made many attempts to alert mankind to the danger. But most of their communications were misinterpreted as amusing attempts to punch footballs, or whistle for titbits, so they eventually gave up and left the Earth by their own means – shortly before the Vogons arrived. The last ever dolphin message was misinterpreted as a surprisingly sophisticated attempt to do a double backwards somersault through a hoop, whilst whistling the ‘Star-Spangled Banner’. 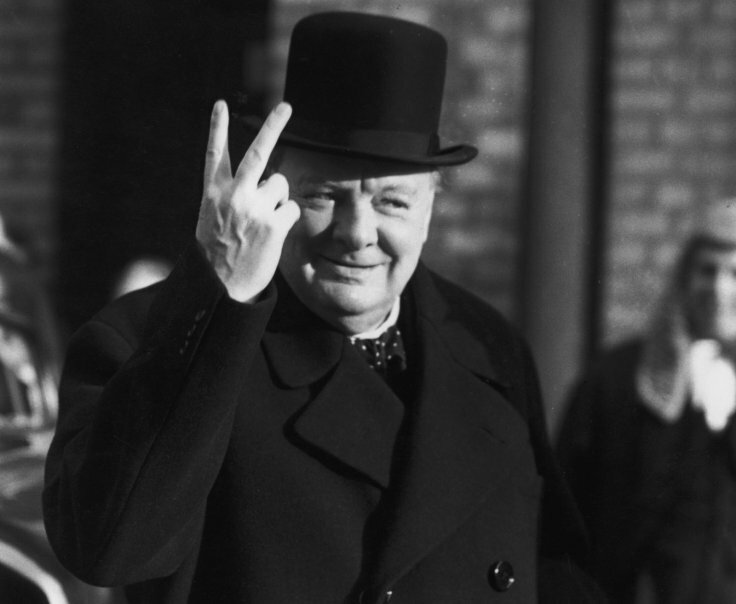 But, in fact, the message was this “So long and thanks for all the fish”.